Have you moved a lot in your life? I know I have. I have way too many memories of packing up stuff and cleaning out an apartment, a dorm room, or a house. That’s the worst part of moving, isn’t? Each time I moved, I had to come to that awful, eye-opening revelation that I just had too much stuff and now what am I going to do with it all? Well, at least it is when you’re in the midst of all that packing and cleaning. And yet, something happened to me every time I moved—whether as a kid, or a teenager, or a student, or an adult—once all that stuff was gone or packed, I felt pretty great. In fact, I felt light as air. And if you’ve ever been in a “temporary” living space for a while, unable to have all your “stuff” by your side, the first few days are frustrating, but after that, something happens. Some of my fondest memories in life involve an empty house in Indiana; an unfurnished studio apartment in Honolulu, Hawai’i; a bare-bones dorm in Princeton, NJ; and a period of many months when my partner Maria and I did not have any of our stuff because it was in storage somewhere. Perhaps you have your own answers to that question. For me, the reason I felt so liberated each time I moved was because the change made me aware of my attachment to all the stuff in my life, and I’m not just talking about furniture, clothes, or knickknacks. I mean my attachment to the past—to a life I lived somewhere else that was now over. My attachment to memories and places. Sure, this may be portrayed as a love song, but it’s always resonated with me as a love song for our memories. Yes, I do stop and think about all the places I’ve lived and been; I do think about the people who have come in and out of my life; and I do have affection for those memories. But today, in my life in this moment, I see something more important. I love this moment more than my memories, because it’s real. I love the people and things in my life right now more than my past. That doesn’t mean that my memories are worthless or harmful. It simply means that I embrace today more than yesterday. And such a change should not scare us. Maybe that’s why this Jesus saying about wine and wineskins that appears in the Gospels of Mark, Matthew, Luke, and Thomas has always spoken to me. Funny, though—it’s basically an argument. Jesus is arguing with his own disciples [and others] about the memories of tradition. Hmmm….maybe this wasn’t written in the 1st or 2nd century? People were arguing with Jesus because they noticed that he and his disciples didn’t follow the “normal” religious rules. They weren’t fasting as much as they were supposed to and when they were supposed to. Of course, this was about more than fasting. Jesus was also criticized for healing people, remember. He was criticized for healing people—for doing something so amazingly wonderful and life-giving. Healing wasn’t a tradition on the Sabbath. But don’t be fooled into thinking that this is just a criticism of Judaism—it’s a criticism of religion in general. Christians are no different than the Pharisees and disciples who were more interested in protecting the memories of the past than actually living compassionately today. Curious, isn’t it, that while Christians claim to believe in a God who is a God of change and claim to follow the Jesus of change and claim to be guided by and filled with the Spirit of change—most Christians fear change. There’s a sense in the church institution that things were always better way back when. But Jesus throws down a teaching here that is significant for any century. Don’t put new wine in old wineskin. If you have chosen to be a person of faith, and this spirituality you choose to develop is a “new” thing or at least something that “renews” you every day–why in the world would such a thing feel heavy? If you choose to be a person of faith, this should not be a burden to you. It should not weigh you down; it should not be about “I can’t do this or that”; it should not make you legalistic, rigid, or limited. So why then, is much of religion such a burden and so heavy? It’s heavy, because we keep trying to put new things in old things. In the Gospel story, wine is a metaphor, of course, but real wine was indeed a staple of the culture of Jesus. No one would never put new wine in an old wineskin. It’s really a simple metaphor about embracing change and letting the past be the past. But I’m quite sure you’ve had moments [or days, or week, or months] when you wanted to put your past behind you but just couldn’t. You wish you could do that so you could move forward in your life. But you keep hearing [and feeling] that you have to hold onto your past for some reason. So you keep trying to introduce new ideas or experiences into that old life, it just doesn’t take. Every time I moved in to a new place and tried to introduce the same old things from my old place, it just didn’t feel right. It didn’t work. I had to rearrange or get rid of some things altogether. The difficult truth we all have to hear is that we need to let the past be yesterday. It’s difficult, but we have to let go of anything that weighs us down or keeps us from moving out of the past and into the present moment. This affords us the opportunity to be free. And, it enables us to be creative, to love, to help, and to fully live. The past is something that can cause fear and confusion. It can make us believe that some things are impossible and that some things will just never change. A couple of years ago, the congregation I serve decided to put up two signs [one a rainbow design] that clearly welcomed the LGBTQ community in a public way. Founding and long-time members quit. Others continued to grumble. Eventually, because of what those two signs led to [more freedom and less fear of change], more people left. The first rainbow sign, after it was put up, was even stolen. Many members of the congregation who stuck around started to be more active in their community. They welcomed and helped people who had no place to go and sometimes no food to eat. They formed more partnerships with people of different religions and those who didn’t claim a religious background. It was new wine. And yet, there was still grumbling; and fear; and resistance. The new wine was bursting the old wineskin. The old wineskin just didn’t function anymore. The heavy religious stuff didn’t make sense. And for those who were able to embrace this, it freed them. Yes, it’s true. Though it is difficult sometimes to do, we should not fear change. We should actually embrace change. Because the Creator is always doing NEW things. And we are created and can become creators ourselves of new things. You have the opportunity to be new–to embrace all people for real, and to show them that something new is being created in them and in you. And whatever those heavy things are from your past—whatever weighs you down—know that you have the freedom to let go. Today [and every day] new wine is poured. Surely you would be rewarded for what you did. But when the teacher returned your homework, shock fell over you. Apparently, the teacher thought that what you did what anything but perfect! You just couldn’t understand why your teacher didn’t see the perfection in all the time, creativity, and effort you put into that project. But the lower-than-perfect grade, marked clearly in red on your paper, left a permanent, bad taste in your mouth and in your experience. Just like poor Ralphie from a Christmas Story. Right. This word perfect rubs me the wrong way. But the word in the original language of this New Testament passage is telos [Greek], and perhaps perfect is not an adequate English translation. Because telos is not about being morally perfect but more about being mature, reaching an end in one’s humanity. That is, telos is like a tree that after many years grows tall and then can bear fruit. Telos is a goal or purpose reflected in the growth. In fact, let’s take this notion of perfection further. Let’s say that be perfect is like saying be like nature in its perfection. Have you ever stopped to notice nature’s perfection recently? It’s amazing. There is harmony there. Nature is balanced. Just when you think nature is unbalanced, it recuperates and reminds you of its…perfection. You see, it’s not about doing things the “right” way all the time [whatever that means]; or following a bunch of rules; or even trying to make New Year’s resolutions or religious promises that you obviously won’t be able to keep. What if, instead, we thought about our identity differently. Like nature–like that tree–God purposes for all of us to grow up , to mature, in our love, compassion, our joy, our peacefulness, and our wholeness. What if we thought about the whole journey of life as walking towards that tall tree that eventually bears delicious fruit? It’s not checking things off on a list or striving for the kind of perfection that garners applause or scores of 10 by judges. How can you love perfectly? Love when it’s not convenient. Love people as they need to be loved—not how YOU want to love them. Love people in different ways and with different actions according to where they are in life. Love isn’t abstract in this sense. Love is a concrete act of compassion, understanding, and empathy with no borders, limits, rules, or formulas. Love just is. Sometimes love will hurt, and that’s the point. Love that is easy and comfortable and always wonderful is not really love. Love requires us to grow up when we don’t want to—leaving resentment behind. Love asks us to bear fruit for others—no matter who they are or where they are from. Love is perfect as nature is. Love has seasons and rainy and snowy times, and sunny and blue-sky times. But here’s the challenge—many times a sermon on a mount or a sermon in a church means very little once it’s over. I can talk and talk, but what will we all DO? What gets in the way of you being a tree that keeps growing? What keeps you from identifying as someone who is loved by God? What keeps you from loving people as they need to be loved? Don’t take revenge on another. Be generous without expecting a pat on the back. Love those who don’t love you. Love those outside of your tribe and social circles. The words ought to inspire us to be telos: complete. Imperfectly perfect in every way. Accept how you are made. You are not perfect and you never will be. But you can love someone as they need to be loved. You can be compassionate with someone who has been left on the curb. You can choose to reject the evil idea that some people count and some people don’t. And you can choose to let your life grow and move and fill up with opportunities to love. That can be a decision you make. And look—nobody is saying that this is easy. Jesus himself never painted this whole love your neighbor and your enemy thing as easy. It is hard, hard work. And you will encounter disappointments and times when your tree will lose its leaves and need more water and feel that its branches cannot support any more. So may you begin again to discover how you are loved and can love. May the sermon be nothing other than a memory. May your day to day actions of love and compassion be the road you travel on. Stop focusing on being perfect; focus on being whole. Grow up, spread your branches, provide shelter for other living beings. Mature, walk towards wholeness, embrace the life that is in you. They are three-time Grammy award winners who recently released their 11th album [Inland]—this time under a new label. Jars of Clay, in 2007, left the contemporary Christian label called Essential Records and started their own label, Gray Matters. Why? On paper it seems that they have enjoyed a lot of success claiming the label of a Christian music group. 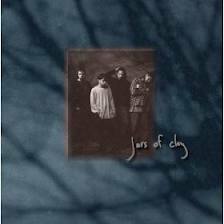 But the members of Jars of Clay have never felt completely comfortable within the confines of this label. Dan Haseltine has remarked that the “Christian” label led to limitations. Sad, isn’t it? This music group has encountered so much pressure to just “fit” into a category called Christian—to be lumped together with others who are completely different from them. I am glad, though, that the band decided not to change its name. 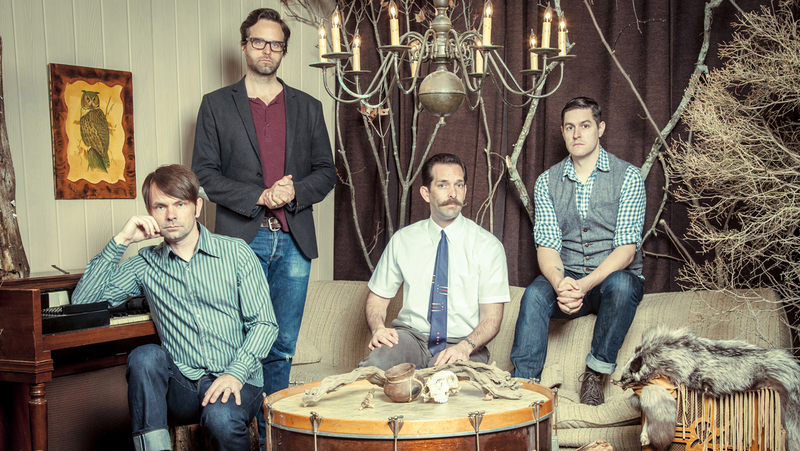 Jars of Clay is an appropriate name for their honest, meaning-filled music. After all, clay jars are earthenware, pots, things made out of earth. They are formed, shaped, pulled, pushed, and molded until they are cooked in a kiln. And all the pots are different; they are not the same. But clay jars don’t form themselves on their own. They need a potter. Perhaps one of the most intriguing and misunderstood metaphors for God in scripture is the image of the potter. The prophet Jeremiah, as all prophets, sees things in the natural world and in everyday life and applies a deeper meaning to them. Essentially, this is a prophet’s job—to see and hear a little bit deeper and then to share this insight with people. Sometimes, though, as in Jeremiah’s case, what prophets shared was not always pleasant. The image of God as potter and people as clay is both comforting and challenging. In Jeremiah’s day, clay was used for lots of things. Of course, there were expensive clay items that the rich would decorate and display. But the most common pots were the ones that Judeans used every day for practical things around the house. Maybe the pots were not perfectly shaped or adorned with color. But they were perfect to store grain, wine, or oil. The pots were life-sustainers. That doesn’t mean that the pots themselves would last very long. Because they were used so much, from time to time they would crack or break. That meant a trip to the potter’s house. Viracocha [God] raised up all the people and nations, making figures of clay and painting the clothes each nation was to wear. To each nation he gave a language, songs and the seeds they were to sow. Then he breathed life and soul into the clay and ordered each nation to pass under the earth and emerge in the place he directed. The deity of the east made of clay first a woman and then a man, who were brought to life in exactly the same manner as the birds and animals before them. We must make this connection between the creation story and Jeremiah’s trip to the potter’s house. It shows us that this potter who Jeremiah must visit is constantly forming, shaping, dismantling, and remaking the clay. There is a reason for that. The clay, now established as being human beings, is seemingly in constant need of repair. Sometimes the clay pots even need to be broken up completely. At times, the potter’s hands slip on the clay and the potter has to restart the process. At moments the potter isn’t pleased with the pot’s shape and so it must be smashed back into a clump of clay and reshaped. If you’ve ever tried to work at a pottery wheel, you know that this is how it goes. It is a process full of trial and error, smashing, shaping, and remaking until you get the shape you desire. Making pottery requires a LOT of patience. And you have to get your hands dirty. And you have to make sure the clay is adequately moist and not too dry. And you have to spin the wheel just right so as to smoothly transition the clump into being a pot. All of us come from the same natural, organic earth. We share a formation by a patient, careful, detail-oriented potter. Each pot formed from the clay is different—unique. And the potter is never finished with the clay. It is a powerful and wonderful metaphor, I think. But it can be misunderstood. Sometimes we make the false assumption that all pieces of clay are exactly the same and so the pots need to look and act the same. Sometimes we can forget that it is normal for pots to develop cracks and imperfections. Often we look at overused, broken-down pots and assume that they are useless and cannot be remade. And also we can force other clay pots to be shaped in the same way we were—even though that is impossible. Each pot is formed uniquely. Each clump of clay needs a different amount of water and a different shaping technique. Homogenous pots do not emerge from the potter’s house. And the metaphor hits home when we consider our own brokenness, our struggles, are cracks, fissures, and need for reshaping and remaking ourselves. Yes, we are cracked pots in need of patient care, love, mercy, and periodic trips to the potter’s house. And I think if we recognize that we share this with all others, then we’ll stop trying to force them into categories. And we’ll embrace their clay-ness and their ability to be molded and shaped as the potter sees fit—not as we see fit. So friends, recognize your clay-ness and recognize the clay-ness of others. Remember that you have something contained in that clay jar that is your life: a treasure. The treasure inside your cracked pot is the love and compassion of God that you share with others. May it be evident and may it shine through all the beautiful cracks and openings in your pot. Amen. “Jars of Clay Seek ‘Reintroduction’ With First Indie Release,” Hollywood Reporter, 9/4/2013, Rebecca Sun. Mythology: An Illustrated Encyclopedia. Ed. Richard Cavendish. Silverdale Books. page 187.